A cop and two female staff members were killed in a shooting at a Chicago clinic on Monday evening. 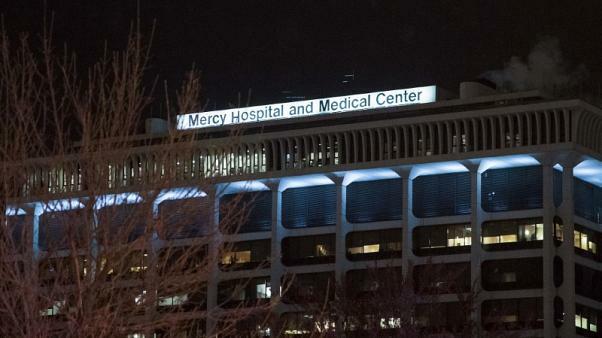 Chicago Police Officer Samuel Jimenez was shot and slaughtered after he reacted to calls of a functioning shooter at Mercy Hospital and Medical Center, Police Superintendent Eddie T. Johnson said Monday night. A specialist was shot after she occupied with a verbal quarrel in the parking area with a man with whom she was seeing someone about 3:30 p.m. (4:30 p.m. ET), Johnson said. A third individual, a companion of one of the couple, mediated yet fled into the doctor's facility when the shooter lifted his shirt and showed a handgun, he said. At the point when police arrived, the shooter, who police sources comfortable with the examination recognized to NBC Chicago as Juan Lopez, discharged different shots at officers before they could leave their squad vehicle, Johnson said. He at that point likewise fled into the clinic. Lopez, 32, traded gunfire with police for a few minutes inside the doctor's facility, Johnson said. Jimenez, a pharmaceutical right hand and the shooter were all lethally shot amid the showdown, he said. It stayed misty Monday night whether the shooter kicked the bucket from police gunfire or from a self-dispensed injury. "Those officers that reacted today spared a great deal of lives, since this person was simply shooting," Johnson said. "That poor lady that got off a lift had nothing to do with nothing, and he shot her. Why?" Leader Rahm Emanuel told journalists Monday night: "The city of Chicago lost a specialist, a pharmaceutical collaborator and a cop — all approaching their day, all doing what they cherish. This tears at the spirit of our city. It is the face and the result of malevolence." An observer, James Gray, revealed to NBC Chicago that he saw something like one lady get shot. Dim said he saw a man and a lady conversing with one another before the man pulled a weapon and shot the lady and afterward started shooting others at the healing center, which is around 25 squares south of the Chicago Loop. "There were individuals sitting in the holding up territory, all stood up, turned and begun running towards the front of the healing facility, and security was attempting to guide us into rooms and instruct us to bolt the entryways behind us," Gray said. "It was mayhem. It was simply mass bedlam." "It appeared as though he was turning and pointing at individuals at irregular, similar to he wasn't shooting any one individual," Gray said. "He just begun shooting — bam!" Tracy Lyons, another observer, said she had quite recently completed a radiation treatment when "out of the blue, you hear five to six shots — pow, pow, pow, pow, pow."